WindRose Hotel: The EU Is Dead, Long Live the Euro? 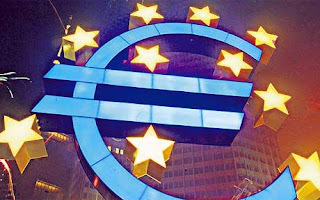 The EU Is Dead, Long Live the Euro? What a fine mess we are in! It seems that Greeks have reacted furiously to a German proposal—made after mounting speculation that international lenders will have to stump up yet more money for Greece—of appointing a European “budget commissioner” with veto powers over Greece’s spending, which would partially suspend the country’s national sovereignty over its budget. As far as I can tell, even though being no expert in the field (but then again, isn’t it true that the crisis, and the failure of the so-called experts, made us all a lot more “aware” of financial issues? ), it seems to me that there is something seriously wrong with this whole bailouts/no bailouts thing. Perhaps the Germans are a bit out of control, so to speak, but, at the same time, it would be unfair to say that they have no excuse. And yet they are the target of criticism from all sides, almost as if they were the main cause of the crisis, which is definitely untrue, even though they have their part of responsibility in the eurozone debt crisis, as this BBC article shows (a very interesting read indeed). OK, reading news such as that which provoked the above mentioned anger and indignation of the Greeks, one cannot but wonder, “What is left of the European project?” But, to be honest, how many Europeans still believe in “the European project?” As for myself, I have never liked “this” Europe: a-Christian, if not anti-Christian, in tendency, “libertarian” in ethical issues, bureaucratic in its approach to a number of issues and operational schemes, slightly, if not blatantly, anti-American. Well, I loved the Europe the Founding Fathers—Adenauer, De Gasperi, Schuman, Monnet…—wanted to build, but let’s be honest with ourselves, what is left of that dream? The Euro? That being said, let me just say that I, and I know I’m going against the mainstream, as a citizen of a country named Italy, am … slightly grateful to those EU countries whose stubbornness contributed to paving the way for a new era of Italian politics. It was exactly what Italy—a country with enormous potentialities—needed. Of course, it would have been better if there would have been no need for that, but in life you have to make the most of what you have got. In today’s EU leaders summit in Brussels, discussions over Greece and the permanent rescue fund will dominate the talks. I hope the results won’t be frustrating with regard to the actual, not the “perceived” needs of EU countries. The euro is here to stay, at least for 'the chosen few'. The problem isn't so much the single currency, it's the lack of parity between European nations regarding values, way of life, culture, etc., all determined by individual history. Germany, traumatised by the effects of the Treaty of Versailles, the economic results of which greatly contributed to what it was supposedly drawn up to avoid: another world war, has since strongly survived, also thanks to its bundesbank policy. It therefore follows that for Germany it's necessary to have a strong euro. But this is not necessarily good for Europe as a whole. Draghi seems to understand this and is playing it fine. Also it's ironic to note that since the credit rating agencies have been bashing Europe, and the euro has subsequently lost some of its pumped up value, the European stock markets are at last picking up. This after five years of suffocation also due to the Trichet treatment. What France also has to contend with, is reality, and European competition. Opting for the illusion of socialism, as if returning to the nostalgic epoch of Mitterand represents some sort of miracle cure, would be catastrophic for France. In fact it could be that the anti-Sarkozy campaign which seems to have lasted since he was elected, boils down to a simple refuse of reality as well as nostalgic illusions.